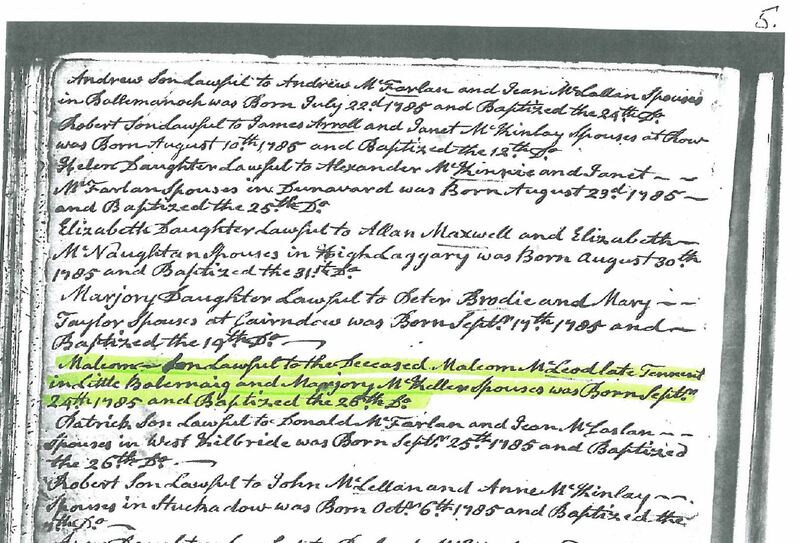 We know very little about Malcom other then he was a late tenant of Little Balernaig (currently named Balernock) from the birth notice  of Malcom (1785) and his tombstone [4, 19]. 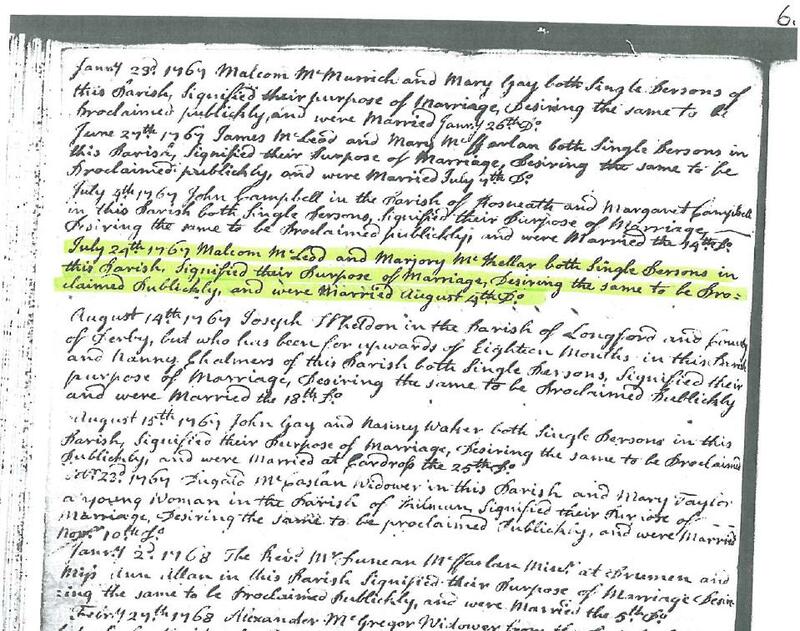 Malcom Married Marjory McKeller on August 14, 1767 in Row Scotland . Malcom and Marjory had nine children and we believe were farmers in Little Balernaig. Malcom died about nine months before his son Malcom was born.